I was in my early twenties the last time I used manmade insect repellent. I hated what DEET did to my gear, especially plastic. And one can’t help wonder what it was doing to me! Yes, that’s me 20+ years ago. At that time in the eighties, I was really into hunting and fishing. Luckily those bug jackets that hold the netting off your bare skin came out back then. Although expensive at the time, I purchased one and it worked. Over the years, my knowledge and time afield increased… and the jacket went away. Primarily, my experience in plant use in the lower coastal plain of the southeast U.S. increased. And that was amplified further when I became a professional forester spending over 50% of my time in the woodlands, not to mention playtime on the weekends. My strategy in the deep south was simple and effective. It has since expanded as I now live in the Southern Appalachia. What follows is what I do and what I have learned to help keep the bugs at bay without using manmade insect repellents. Some of it will apply anywhere, some plants have specific geographies (referenced). YOU – To start with, one of the best things you can do to keep the mosquitoes and no-see-ums (midges) at bay is to NOT do something; and that is shower. If you are heading to the woods on a day in the warmer months and take a shower that morning, you are asking for it. I notice huge differences when I take a shower versus not in being attacked by flying insects (ticks don’t care). Was it the perfume from the soap or washing away the natural oils that built up? Both probably. Either way, I can tell you it makes a big difference. According to the experts, mosquitoes are attracted to dark colors, carbon dioxide (breathing), and heat (exercise). We can’t really let bugs dictate our breathing or physical activity, but we can wear lighter colored clothing. Personally, I never really payed that much attention to the color of my clothing — not showering and the plants I have listed below being bigger components of an overall strategy (I also carry a head-net for when it gets real bad). But there is something else YOU can do to keep the bugs from bothering you, and that is change your mental state. Read this article, The Woodsman Zone. American Beautyberry (Callicarpa americana) a.k.a. French mulberry, is a deciduous shrub found from Florida west to Texas and Oklahoma, and as far north as Maryland. It has oppositely arranged leaves that when crushed have a very distinct odor. The ripe purple drupe fruit is very recognizable and a favorite of over 40 song birds, raccoon, opossum, rodents and white-tailed deer. Deer will occasionally browse the leaves too. If there is a high concentration of this plant in your area, chances are the birds have let you know on your car! Remember, the fruit is very purple. Three repellent chemicals were extracted during the 12-month study: callicarpenal, intermedeol and spathulenol. The research concluded that all three chemicals repulse mosquitoes known to transmit yellow fever and malaria. Mosquitoes carrying the West Nile virus were not tested as part of the study, but the USDA-ARS has since filed a patent application to use callicarpenal as an anthropod repellent. Wax Myrtle (Morella cerifera, formerly Myrica cerifera) is one of my favorites if you couldn’t tell from the video. The maps at the USDA aren’t perfect, but they do give you a general idea of where you can find the plant if you click on the states where they reside. Here is a great article from Eat The Weeds on good ole Southern Bayberry for more info. 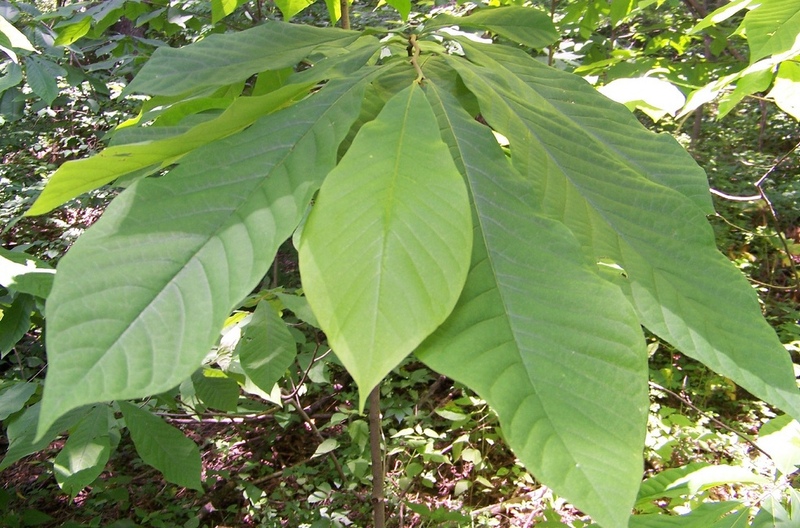 Paw Paw (Asimini triloba) is a small understory tree. Most places I see it however, it looks like a low shrub. There are also 7 other native varieties of which I believe all possess insect repellent qualities. For those that hunt turkey, Paw Paw’s flowering in the Spring is an indicator that the gobbling has or about to start. Turkey also like the very large fruit it produces, as well as opossums, raccoons, gray fox and us humans! Like the fore mentioned plants, it has a distinct odor when the leaves are crushed. Not pleasant, but not bad either, just distinct. I also find it easily identifiable by its obvate leaf shape. As an insect repellent, I use Paw Paw just like American Beautyberry and Wax Myrtle, by crushing the leaves and rubbing on my skin. Although the bark too contains the natural insect repellent known as acetogenin. In addition, one of my good friends suggests laying the leaves down on top of your bed to ward off chiggers if using natural bedding materials in the warm seasons. 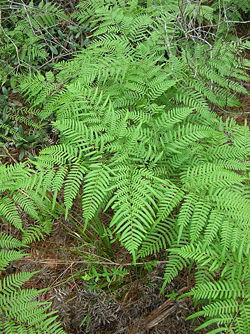 Bracken Fern (Pteridium aquilinum) – I have heard two different recommendations on how to use this plant as a natural insect repellent. First, crush the leaves and rub on your skin as the fore mentioned, and secondly, take the leaf and stick it in your hat. Personally, I have not been that impressed with either method compared to the other plants, but, if there is nothing else, I am using it again. I suspect it may mask your scent more than anything. Sassafras (Sassafras albidum) – A very useful tree… The root tea is a cure for a sour stomach (not viral though) and a stimulant for the immune system. It’s leaves are also the thickener in gumbo. A decent friction fire wood too. Crushed leaves rubbed on skin acts as an OK repellent including flies. Hickory (Carya spp.) 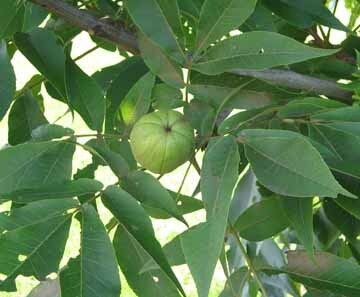 – Depending on the species of hickory, the leaves and green husks of the nut can be very fragrant. Best used on your natural bed to keep chiggers away. So far, we have shared a few of the natural insect repellents readily available in the eastern woodlands. However, there is one in particular I believe under utilized these days. It is available anywhere in the world there are trees… and that’s because it comes from trees! It is punkwood. Tree bark, grasses, sage, bundled pine needles all make a great smudge, it’s wisps of smoke driving off insects. One the easier smudges to do is with punkwood. Punkwood is the wood from any tree that is in a stage of decay where it feels almost like styrofoam-like in consistency… very light and a dry squishy. It is not so decayed that if you squeeze it between your fingers it disintegrates. But it is also somewhat softened from the decomposition process in that it is too soft to be used as normal wood. Simply find a dry piece(s) of punkwood, making them the size you need for the burn time you need it. Light one end positioning it in the wind where it will continue to smolder. DONE. In wet weather, you may have to relight it several times. In dry weather, it may actually be difficult to put out. I keep a couple airtight tins here and there with punkwood for this purpose AND the flint & steel method of firelighting. Charred punkwood will take the weak orange spark of high carbon steel! After I am done, I close the tin robbing the wood of oxygen which is one way to put it out. I know I don’t have to tell you to be careful with fire using this solution. I would be interested in learning how the plants are used. It is useful to know that Wax Myrtle can help keep bugs at bay. But how is it used? Do I burn it? Rub it on my skin? Stuff it in my clothes? It would be terrific if you can provide a quick description how each of the plants you mention is used. FYI, I notice that there is no link to “this article on The Zone”. Great article with a TON of useful information! Thanks! I’ve found that here in the Piedmont, as long as it doesn’t get above 60 degrees or so at night you can camp in a tent without netting and be fine. The coast is a different story. I have deer hunted on islands there In February when it was cold enough for a down jacket and wool watch cap, and they still ate me alive! My face was one big mosquito bite! In the summer here, the chiggers are pretty bad if you go into the brush. This knowledge will come in handy. Thanks again! I am always baffled by mosquitos, most of the time they don’t bother me much, but occasionally I get destroyed. I suspect that the shower products have a lot to do with it. I would love to try some of these natural remedys. in that part of the county. the part of ok iam moving to is right next to ak. Hi Mike. It is hard to beat Samuel Thayer’s Nature’s Garden; Edible Wild Plants for edibles. According to the author, it is 95% applicable in AR and 85% in OK.
For medicinals, these are a few I have on my shelf; A Reference Guide to Medicinal Plants (Crellin and Philpott), Indian Herbalogy of North America (Alma Hutchens), Medicinal Plants of North America (Jim Meuninck), Peterson’s Guide, Mountain Medicine (Darryl Patton). I have 2 of peterson’s books there both stop just on the other ok map there are really good i will have to look in to the other ones thank you for your time. 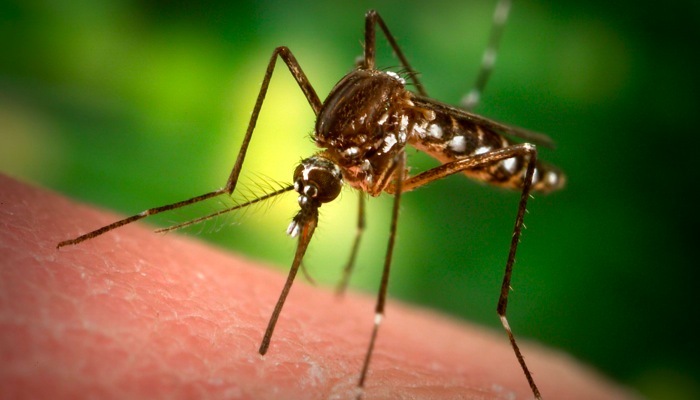 As someone who has studied mosquitoes in New Orleans after Hurricane Katrina, I can tell you that in most cases not showering will make you more prone to mosquito bites. The trick is to use fragrant free soaps, like baby soap/shampoo if available or just wash with water alone. Mosquitoes are attracted to the compounds produced by bacteria that grow on sweat. That’s why if you hang a worn sock that mosquitoes will swarm and bite it. To them it’s the sign of an animal. 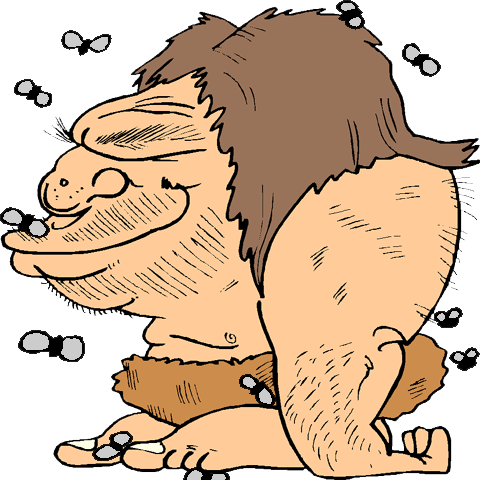 Studies have shown that they aren’t attracted to clean sweat, but once it starts to ferment they will be all over it! Hi Andy – greatly appreciate the reply and information. What you state makes sense and I am not disputing. My experience is just mine and not scientific, but I’ve done the non-scented soaps, and while it helped, it still wasn’t as effective (for me) as skipping the shower. I don’t have a citation but from my research Sassafras contains carcinogens and it is not advised to consume the plant in any form. I.e. Tea although it smells quite pleasant.